A unique scenario of intense, bright colours, perfect for shooting advertisement pieces and films. 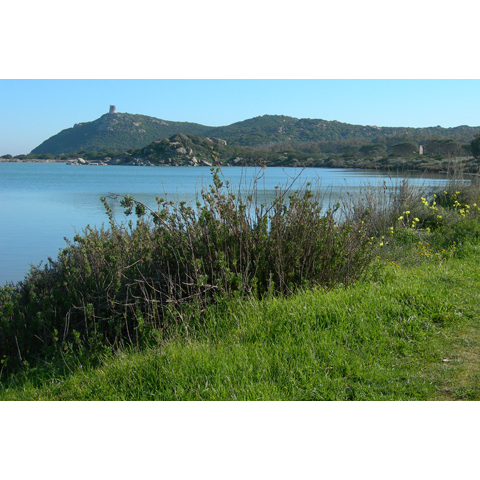 The Notteri pond is located in the narrowest portion of the Capo Carbonara peninsula, the extreme southeastern tip of the island, only a few minutes from the town and modern tourist port of Villasimius. 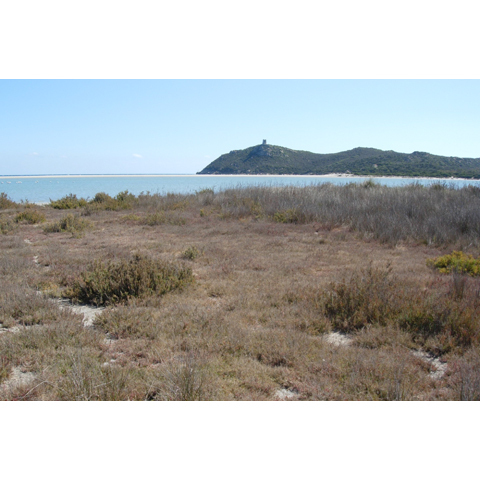 It is separated from the sea by a narrow strip of sand, the beach of same name, also called spiaggia del Giunco, and it is immersed in Mediterranean scrub. Looking down at it from the high cliff that surrounds it, a fantastic landscape greets you: a double blue field with various hues, practically two seas (another name Il Giunco is called) separated from the white of the beach. 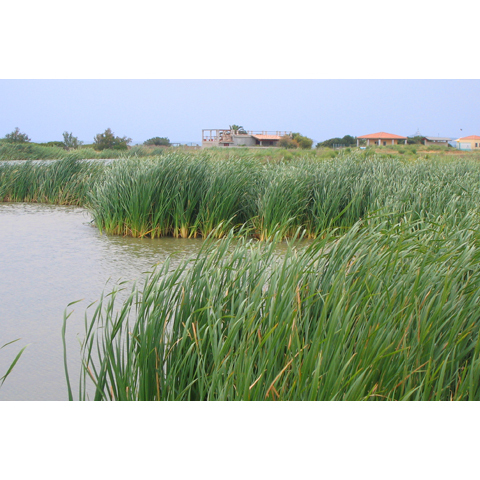 The pond, without emissaries or connections with the sea, is only half a metre deep, favouring the presence of pink flamingos that can be admired along the southeastern coast, only here and in the Colostrai and Feraxi ponds. The beach is a strip of very light sand, so thin it feels like confectioner’s sugar. The emotions it provides are unique: dive into the clearest waters of the Mediterranean. A pearl of the marine area and background for many advertisement pieces, this is the perfect destination for families with children, because of its very shallow waters, and it also offers breath-taking adventures to divers and snorkelers, with its schools of trusting fish that ride the warm currents. 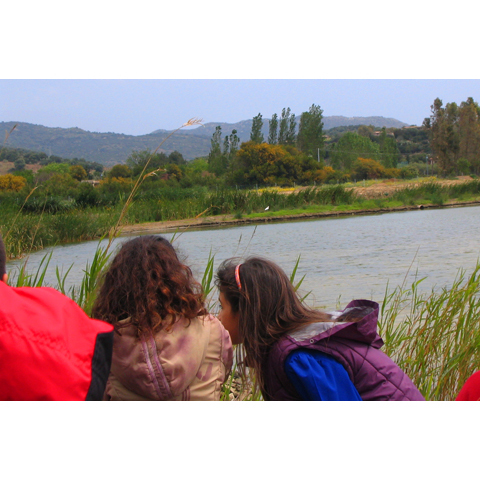 Around, eucalyptus and Mediterranean vegetation release their perfume into the air, while the particular position of the bay is a natural defence against the wind. The Porto Giunco coast tower overlooks the bay and the entire protected marine area. The wide sandy area is dotted with restaurants and resorts that offer all the services and comforts you need for a fantastic day at the beach. When the sun sets, the kiosks offer music and aperitif, keeping company to tourists until late in the evening, with varied entertainment. 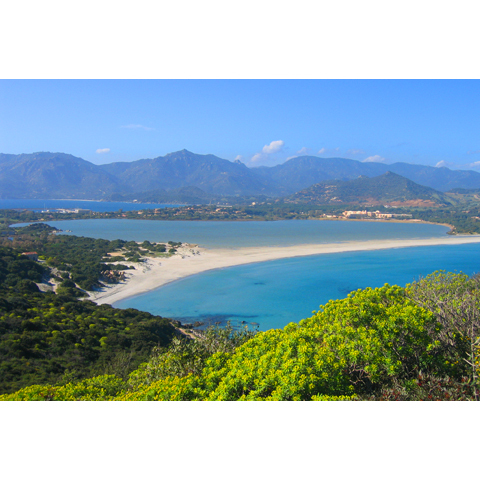 The entire coast of Villasimius is a splendid landscape: to the west of Capo Carbonara, the beaches of Porto sa Ruxi, Campus, Campolongu, del Riso and Cala Caterina; to the east of the promontory, there are Simius, Traias, Rio Trottu, with a view of the Isola dei Cavoli, and wonderful Punta Molentis. At the end of each intense day at the beach, relax by taking a walk along the streets of this pretty little vacation town. From Cagliari, follow the coastal road Quartu Sant'Elena - Villasimius. 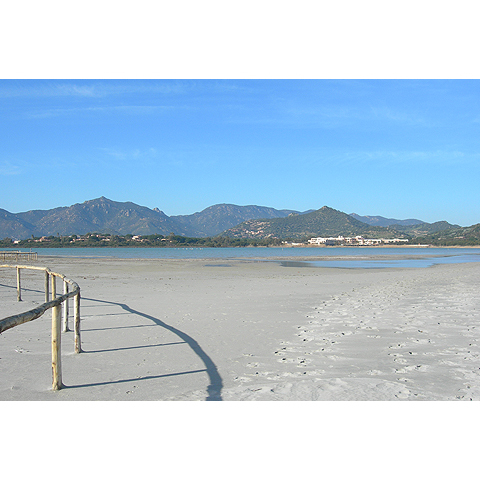 About 2 km before reaching the town of Villasimius take the turnoff to Campulongu on the right (Condominio Cordolino Blu). At the next crossroads, turn right in the direction of Porto di Villasimius. About 100 m down the road, take the left turn leading to the pond.